Progress made on the natural capital file, but action needed to institute mandatory corporate carbon disclosure. Statistics Canada recently confirmed that natural resource wealth (namely minerals and timber) has been formally integrated into Canada’s national balance sheet, with the first release slated to occur in December 2015. Natural resources are a significant component of Canadian wealth, worth about $1 trillion according to Statistics Canada. Now that this important source of wealth will be included on the official balance sheet, it will be possible to better manage and optimize its long-term benefits for Canadians. The idea is when natural resource wealth goes down, it is important that other wealth producing assets (financial capital, human capital, built infrastructure) are going up at least as much if not more. While Canada has done a reasonable job at translating natural resource wealth into jobs, valuable clusters of finance and other know-how, enhanced infrastructure and greater tax revenue, building a base of public financial capital as most other resource rich nations have (most notably Norway with its $1.1 trillion sovereign oil fund) has been a point of weakness. Expanding the national balance sheet may eventually go beyond natural-capital stocks, or assets, to include liabilities such as costs for greenhouse gas emissions and pollution, which, at some point, may need to be settled by the state. 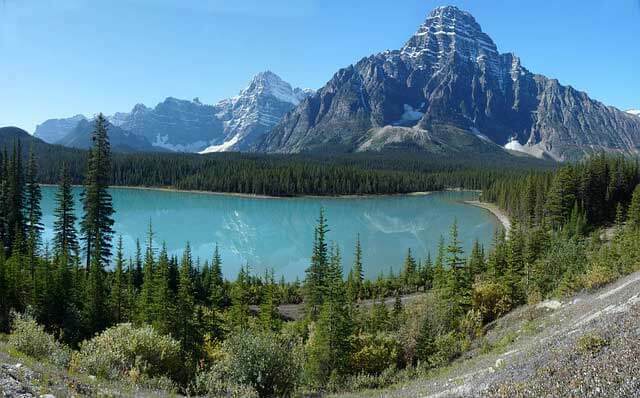 The initial steps Statistics Canada is taking to account for the value of mineral assets and timber are prudent and commendable; the infrastructure required to account for the physical resources is already in place. While not everyone agrees on whether integrating natural capital into the national accounts can capture its full market value, there is a strong consensus that if kept invisible, effective tracking and management will remain all but impossible. Including natural capital on balance sheets is the first step towards ensuring that our forests, rivers, lakes and ecosystems, as well as other natural resources, will endure to meet our future needs. 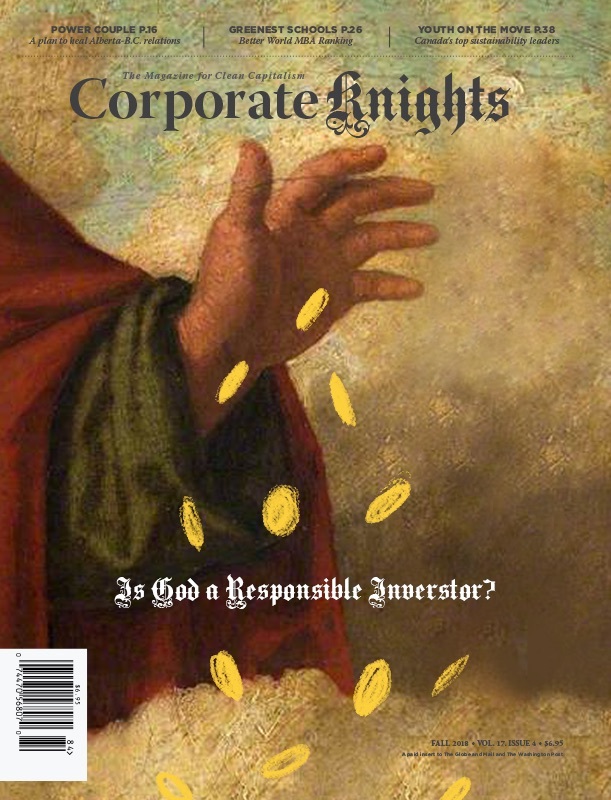 Moving from the public to the private sector, the recent Corporate Knights assessment of 45 stock exchanges on sustainability disclosure launched at the London Stock Exchange (LSE) this September revealed that Canadian companies listed on the Toronto Stock Exchange (TSX) are not keeping up with investor demand for carbon performance metrics. In the UK, where it is mandatory for large listed companies to disclose their carbon emissions, 100 per cent of the main UK benchmark, the FTSE 100, now disclose their emissions. In Canada, which competes with the LSE for resource company listings, only 59 per cent of large listed companies disclose their emissions. Ten years ago this was not a problem, but carbon disclosure has grown in importance due to an expanding group of investors who are investing over $500 billion in assets based on reducing their portfolio carbon footprint. The paucity of emissions data provided by TSX-listed companies leaves these investors in the dark. There is a simple way to fix this. Now that carbon emissions reporting is well understood, the Ontario Securities Commission (OSC) could require companies of a certain size (say $1 billion market value) to disclose their emissions. This would constitute a small reporting burden as most companies of this size are already tracking their carbon, even if they are not yet making it public. It would send a message to leading global investors that Canada is serious about providing the information they require to make prudent investment allocation decisions. An expedient way to make this happen would be for the Ontario Government to direct the OSC to require large listed companies to report their 2016 carbon emissions in their annual reports. While members of the Council for Clean Capitalism can speak to the good sense of this policy, it will also be important for some of Canada’s largest investors like OMERS, CPPIB and OTPP to make clear that this would be a welcome development. Past efforts by the OSC to improve sustainability disclosure have had limited success, in part because the scope of metrics and topics considered have been sufficiently complex to preclude a clear consensus on action. Requiring large listed companies to disclose carbon emissions is clear and supported by a strong market consensus. It would also be a nice arrow in the quiver for Ontario when it travels to the United Nations Climate Change Conference in Paris this December. Stay tuned for progress on this file. The Council for Clean Capitalism is a group of forward-thinking companies that seek public policies in support of an economic system in which prices incorporate social, economic and ecological benefits and costs, and people know the full impacts of their marketplace actions. Catalyst Paper, The Co-operators Group, Hewlett-Packard Canada, Interface, Mountain Equipment Co- op, Sun Life Financial Canada, Teck Resources, TELUS, Vancity, Brookfield Johnson Controls, and Desjardins.